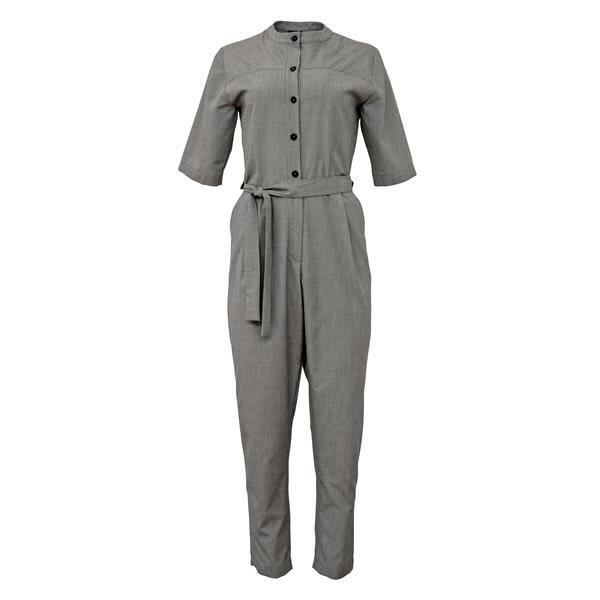 The Tanger Jumpsuit from Corvera Vargas is a button up overall with zipper fly and belt. Designed with mid length sleeves and two angled side pockets. Comes in black and white colourway. Made in Poland.